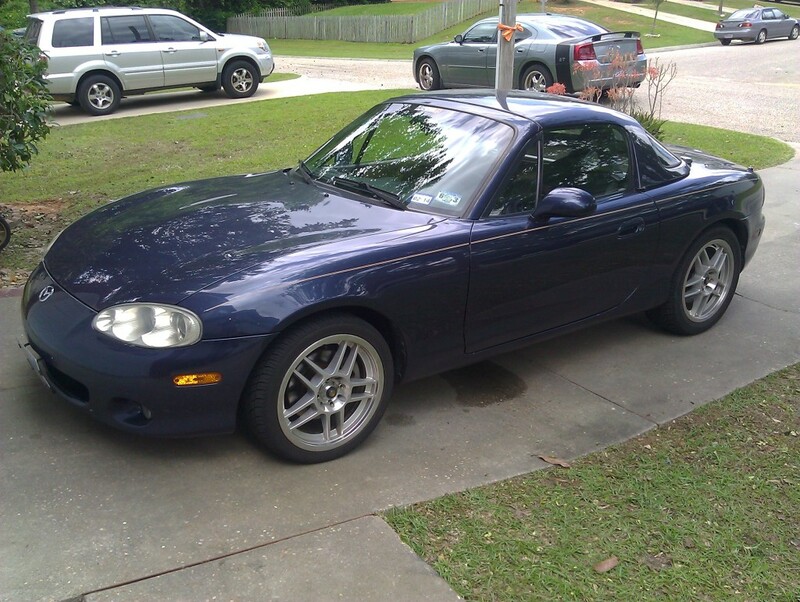 I have a 2001 Mazda Miata LS for sale, in USA - Alabama. 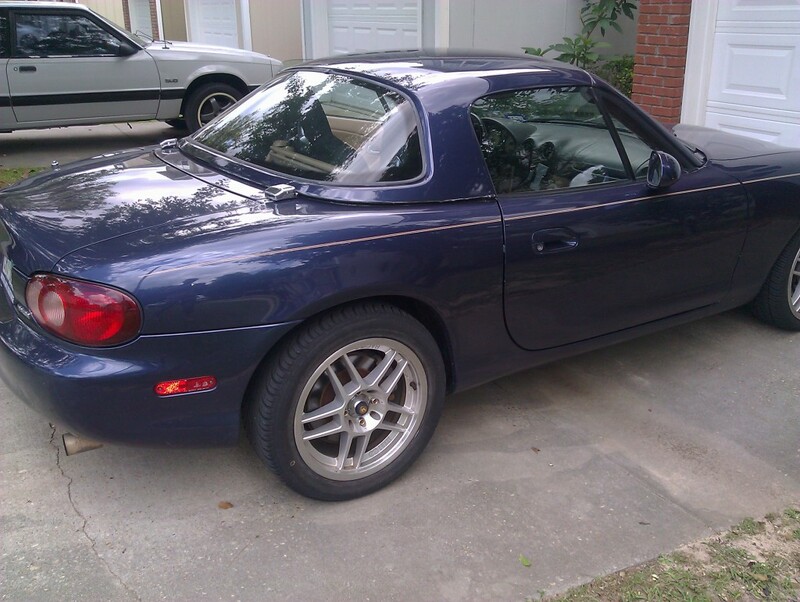 Close to FL and GA.
6 Speed Manual with New Clutch kit. Shifts very smoothly, engine pulls hard to redline. 16"x7" Enkei rims. 3.93 Torsen LSD from factory. Larger brakes, Nardi steering wheel, shift ****, frame braces under the car, etc. 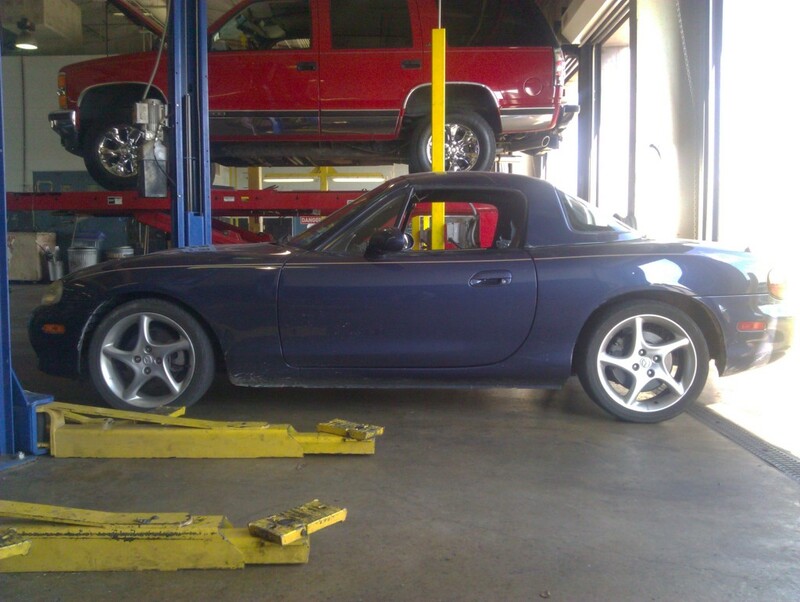 Bilstein HD shocks from Tire Rack installed 134k on ODO reading. 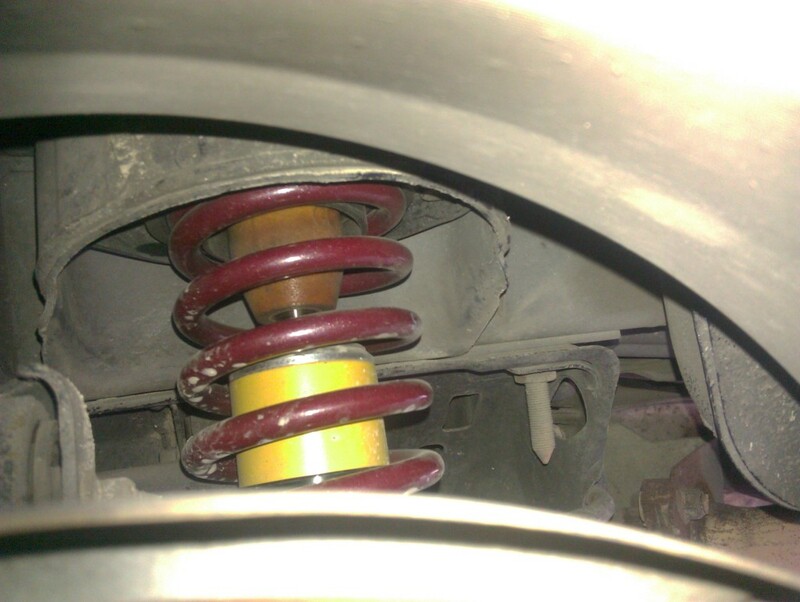 Springs are coil over kit with 370 front and 275 rear. 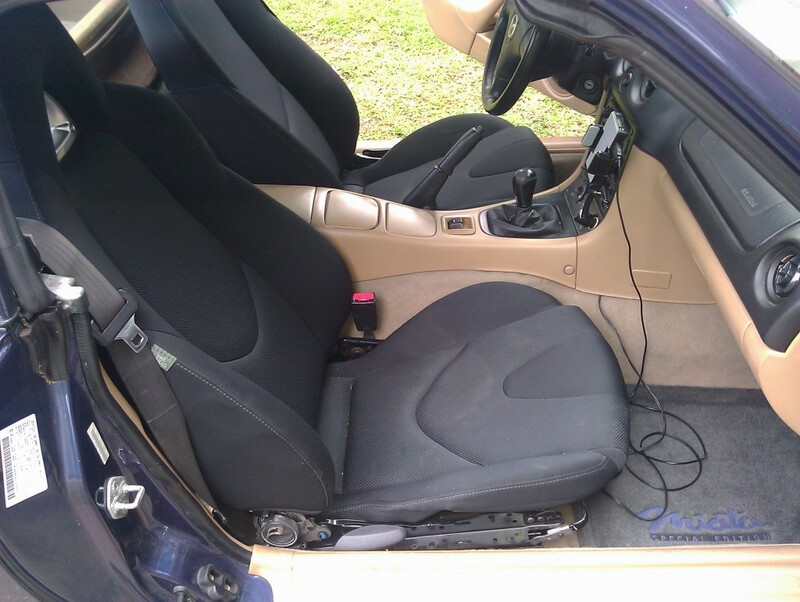 Great RX-8 seats. If you don't like them, I still have original Tan leather seats. They will come with the car if you buy it before someone picks them up locally. Mizu brand thick aluminum radiator. Hard top has fresh paint that matches the body color perfectly, soft top was deleted for space. Replacements can be installed in less than 30 minutes. New Rear main seal, new Alternator, new Windshield glass. Recently replaced valve cover gasket, PCV valve and grommet, Mass Air Flow Meter, fuel filter, spark plugs, air filter, wiper blades, upgraded windshield spray nozzle, front brake pads, shifter bushing, exhaust header gasket. Fresh oil on engine, Transmission, Differential. Very minimal wear and tear on the interior. You'll have to look hard. Comes with rare dark blue Special Edition OEM floor mats. No record of wrecks etc on CarFax and AutoCheck. All the bumpers and panels still have VIN stickers. I'm the 4th owner I think. Bought it with 120k on the ODO. Please PM me and I will reply at least same day. STOCK WHEELS IN PIC NOT ON CAR.